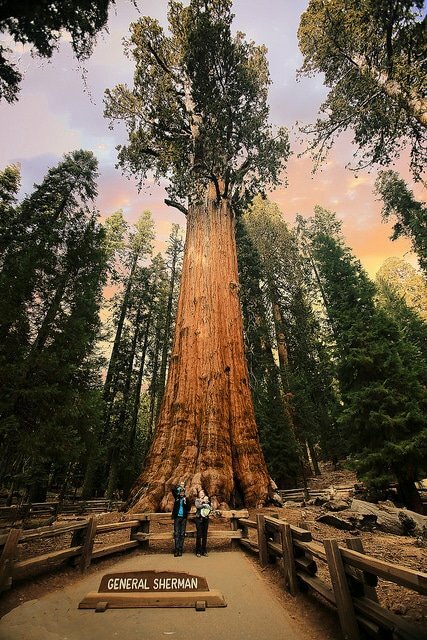 The General Sherman is a giant sequoias (Sequoiadendron giganteum) in the Gaint Forest in Sequoia National Park, California Copyright by WyoJones. All rights reserved. Used with permission. As you can see, this is a really tall tree. Standing at the foot of tall trees or tall problems can be intimidating. The hubs had to move pretty far back to see the whole tree. I think that sometimes we need to get some distance from our tall problems. In other words, perspective helps. I know, when I look back at my life, the highs and lows look a lot different. What do I remember? Mostly the happy times. So take a step back this weekend and be happy.